You and your significant other are invited to join us for a Couples Night Out! 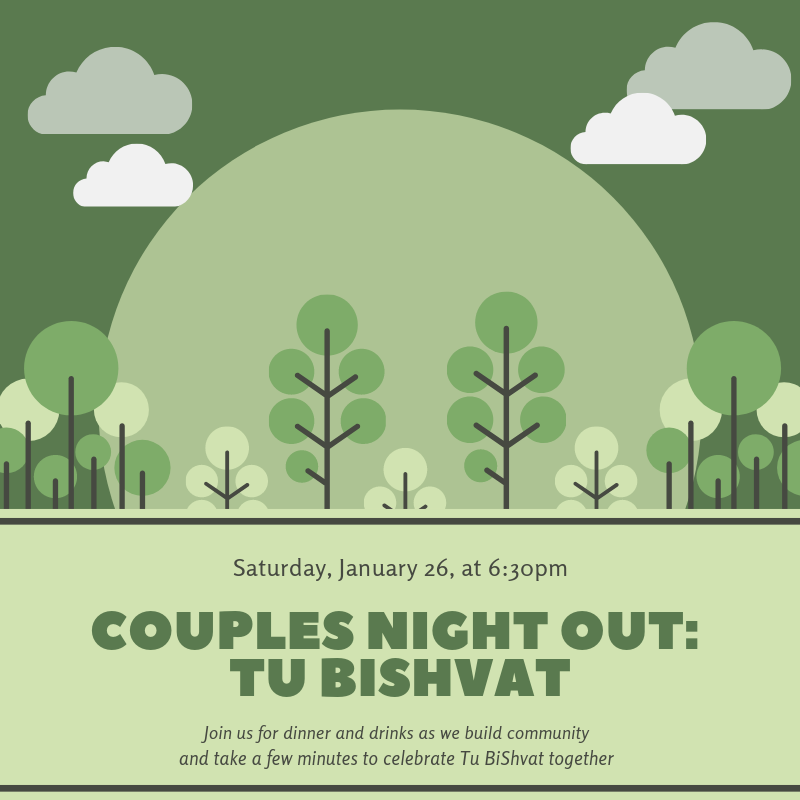 Tu Bishvat is an annual holiday often called “the new year of the trees.” The evening will center around community building with other “young” couples through dinner & drinks. We will also spend a few minutes celebrating Tu Bishvat together. If you consider yourselves a young Jewish or interfaith couple (under 40ish) then this event is for you. Please forward this invite to others who might be interested in attending.